Summer Salad. Summer is here, and we have all of this beautiful produce to create amazing salads….so many colors and choices to toss into your bowl! 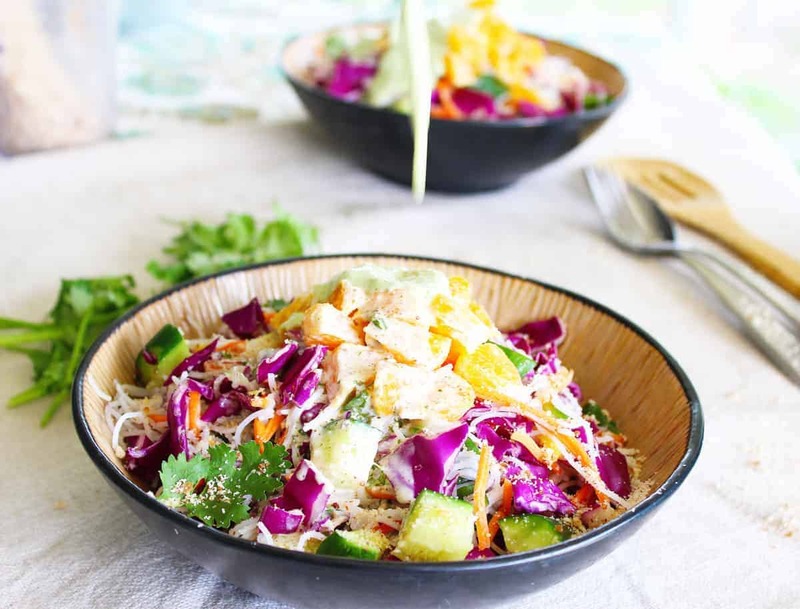 To give this salad more substance, we added rice noodles to the greens. They take on the flavor of the surrounding vegetables or dressing to give you a filling and satisfying meal. You can choose the Cilantro Cashew Dressing or the Almond Butter Dressing, depending on what you are craving at the moment! Vegan, gluten free, dairy free. 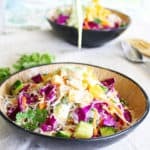 Delicious and light summer salad--right colorful, flavorful vegetables topped with sweet cilantro dressing. Vegan, gluten free, dairy free. 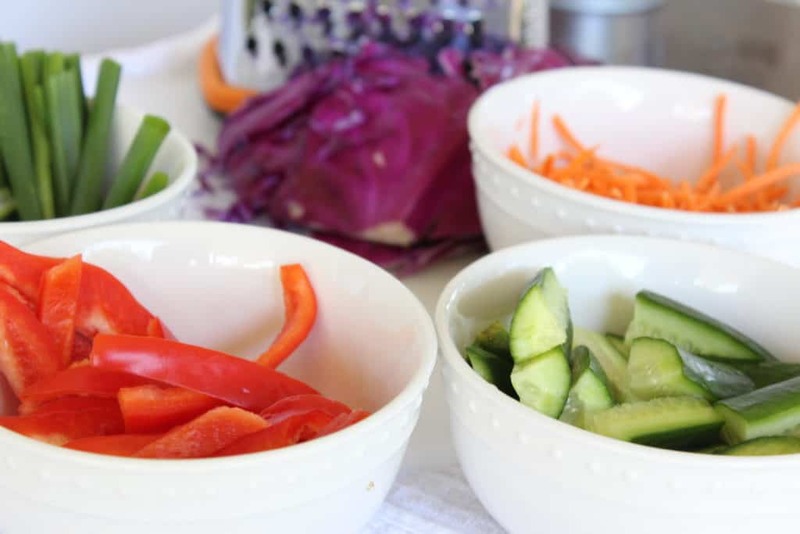 Mix all salad ingredients well in bowl. Add dressing as needed and sprinkle with chopped almonds. I use a Nutri Bullet (see Resource Page if you don't have one) to blend this dressing so that it isn't all stuck in the bottom of the Vitamix.